ONCHAN, Isle of Man – August 18, 2017 – New social poker game PokerStars Play by PokerStars, the market-leading brand of The Stars Group (Nasdaq: TSG; TSX: TSGI), has begun phased rollout offering a fun and authentic game for social poker players. PokerStars Play brings a cohesive gaming experience that epitomises the variety and fun that has become synonymous with PokerStars. Games include Texas Hold’em, Spin and Go Texas Hold’em, Omaha, and casino-style slots to cater for card game enthusiasts and online slots fans. It is currently only available in the United States and Australia on iOS and Android, and will begin phased rollout to all territories over the course of the year as a standalone app. “PokerStars Play is the next phase in our progress toward being a leader in social casino,” said Lloyd Melnick, Director of Social Gaming at PokerStars. “PokerStars Play is a unique product, taking the best of real money gaming and merging it with the features players expect from mobile games. 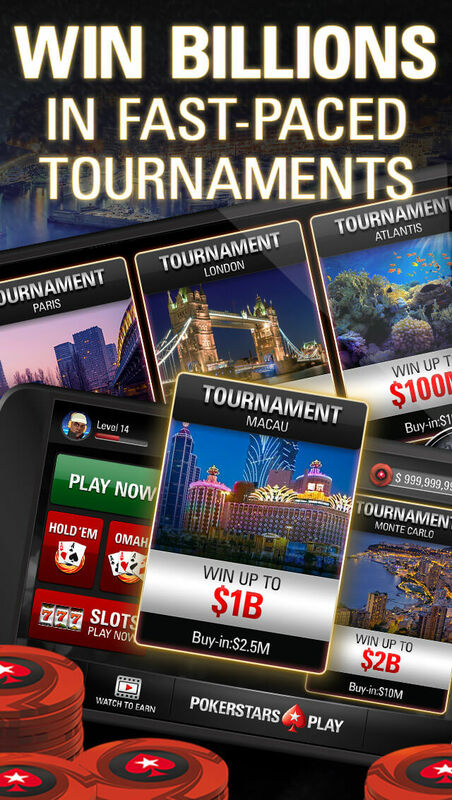 The game has a next generation look with a slick lobby, exciting user-experiences to celebrate winning moments, the chance for players to play against real poker players from around the world, collect trophies, and compete to be the best in weekly leaderboards. Players can win billions in fast-paced tournaments and collect up to 100,000 free chips daily.